Of all the studies of sales effectiveness, first line management has been implicated in countless studies as one of the most effective levers of change. The potential for managers to motivate, train, role model, coach, communicate and generally influence is huge. So much so that the landmark book “First Break all the Rules” by Buckingham and Coffman concluded that employees ‘don’t leave organisations, they leave their manager’. It’s no wonder that organisations load a lot onto the shoulders of sales managers! 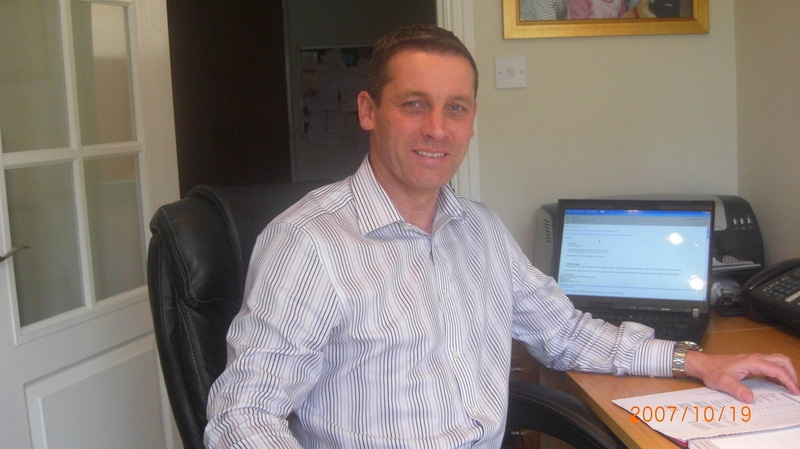 Stewart has been active for many years in the logistics industry, managing teams that are involved in both complex and transactional sales, and is highly respected by his teams. One of the reasons that you stick out in my mind as an exemplar of good sales management is seeing the high levels of connection and commitment you create in your sales team. To what extent have you picked this up from your keen interest in sport and sport coaching? There are parallels. It’s important to recognise that management is really about understanding people’s strengths, because every team’s made up of individuals, and as is often seen in team sports, a team of brilliant individuals doesn’t always win unless they play as brilliant team! You need to have coherent policy that ensures that every member of the team feels their skills are valued, respected and contributory to the end result. For example, my least performing sales person this year is a new guy who did around 65% of their target, but without his contribution, the team wouldn’t have beat their target. Therefore although personally disappointing his contribution to the team still had significant value. It should also be remembered that the ones that are not performing well will require more attention, you will need to make extra time and give extra support to steer them through. Performance issues at work may or may not be related to work or connected to their role but as they impact on the business they need to be explored and if possible resolved. A good player doesn’t become a bad player overnight. Maybe Fernando Torres is an example? There is always a reason and usually a solution. Many new sales managers struggle with the boundary between being respected as the leader and being “one of the team”, for example having fun at corporate events. How do you see this? A good question – I think it can depend massively on your circumstances and particularly on whether you are new manager to the business or if you have been promoted from within the business and now manage colleagues that were previously your equals. It can be incredibly difficult to get the balance right and you do need to remember and remind yourself you are being constantly watched by you team. If you’ve organised a social event, completed the planning and you’ve got the tickets, then this reinforces the fact you’re the boss, because you will be running the agenda. The balancing act is to run and control the program whilst joining in with as much enthusiasm as the rest, but at all times retaining a level professional decorum and awareness. Be particularly aware of evening events that may involve alcohol. I don’t personally have a difficulty in switching between managing and fun because I will always compartmentalise the two issues. In reality there is a risk that professional boundaries may get “blurred” at corporate events but it is always the manager’s job to minimise and manage these situations. Remember that if you allow unprofessional behaviour it will reflect on you as the manager. Ultimately be fair with people, it retains your credibility and buys an element of good will, and it’s a difficult to put a price on good will. What activities do think are vital for a sales manager and should never be delegated? I would never ask someone to do something I would not do myself, however in terms of activities that cannot be delegated, I think disciplinary procedure or operational demands or directives of the business e.g. to improve pipeline, call rates, reports and so on has to come 1st hand. I also think that appraisals should never be delegated, it’s vital to fully understand your individual team member’s ambitions, thoughts and feelings and allow them to see that you have taken their ambitions or concerns seriously. What is your point of view on coaching? Coaching and mentoring is not only vital, it is probably the primary function in developing the team. It is also the key element of a resolution path in saving a failing sales person. Everybody is employed because of their previous track record or because it was felt they could add value to the business. Without the correct level of support, training, coaching and direction that potential might not be realised. The frequency and type of coaching depends on the individual sales person: I had an excellent sales person that I felt I actually had to coach to do less, a statement I feel needs greater explanation. He was performing and supplying too much information and detail far too early in the sales cycle, doing less at this point actually made him interrogate the enquiry more accurately ask more salient questions and ultimately gave him more “sales time” . Coaching is about doing the right thing at the right time. I always try and focus on the elements of their performance or personality that can yield the most improvement and can add the greatest benefit. Many organisations encounter problems when they promote good sales people to become sales managers. What selection criteria do you think they should use in choosing a sales manager? A great player doesn’t always make a good manager!! You should never force anyone into a promotion. In the same way, you should never stand in the way of someone who wants to be promoted, purely on the grounds that they will be difficult to replace. You also on occasion need to manage expectation and discuss candidly with people the dangers of over promotion, not an easy conversation. I think to succeed in a managerial role the person needs to have exhibited leadership qualities and have credibility. A good sales manager must command authority but in a way that gains respect rather than contempt therefore to manage a team of sales people you need to have sold. From a credibility perspective you need to have some form of sales track record to win respect. Knowledge of selling and the sales cycle is vital not only for your own success but that of the sales people that you lead. To manage a team in anything, you need to have had exposure to that skill or discipline. What do you like most about the job? What activities do you find difficult? I really enjoy working with the guys in the team, developing a solution and outselling our competitors. I also like building teams and watching them succeed, I have done this on several occasions. I get huge satisfaction watching the teams that I have built become successful and individuals in them become successful in their own right even if they go on and achieve success elsewhere. I get a real buzz out of seeing people really succeed at what they do and of course winning business. On the flip side in can be difficult sometimes balancing the corporate desire of the business with what can actually be achieved or realistically be delivered, like many managers I sometimes fight my biggest battles within my own organisation, but then I guess that’s we have managers! What advice would give to a new sales manager? Outside of any direct corporate brief, my advice is do not make any major changes too quickly. Work with the team, gain their confidence and respect, get a clear overview of what you’ve got to work with and where you have got to get to. Guard against trying to please your boss with knee jerk actions and sound bites, which could have a detrimental impact on people who report to you, after all, it’s their performance which makes you successful! Saying one thing to your boss and another thing to your people limits your room for manoeuvre! Make it clear; you are all in it together. The best managers carry their team with them. You need to Remember if you get it wrong it is said people often leave their manager not the company. If you get the balance right, a good manager chooses who stays and who goes. Final thought: As a rugby fan, what do you think of the quality of England’s management these days? Martin Johnson is an iconic world cup wining player who had wide popular support but turned out not to be a great a manager. He made mistakes on and off the field, clearly mismanaging several situations some of which go back to the earlier question about acceptable behaviour. Possibly through lack of experience he lost sight of bigger picture and failed to instil acceptable levels of discipline and structure. Stuart Lancaster, as well as being an experienced rugby player, has clearly also developed sound managerial skills. He plans everything down to the last detail. He has made significant changes clearly defining structure, expectations and codes of behaviour; he bought in new coaching staff, players and a captain. The example of Martin Johnson shows how people were swayed by popular opinion and emotional rationale rather than following a correct and proper procedure. Stuart Lancaster was within the RFU management structure, which goes to prove sometimes the right man is there all the time! « Lake district here we come!